Purchasing a Commercial Roller Shutter? No ratings yet. 19 Nov Purchasing a Commercial Roller Shutter? If you’re planning a commercial construction or renovation, it’s essential to look at both the function (requirements) of the building and the aesthetics. When considering function, consider materials that will provide a good return on investment. Your commercial premises will be used by many different people: customers, staff, tenants and even other business owners, so make sure the doors are made of robust materials and will stand the test of time. Ensure good access by choosing the right commercial door to encourage and improve productivity. Commercial roller shutters can be designed to cater to all your commercial door and access needs, so talk to our team about your exact requirements. 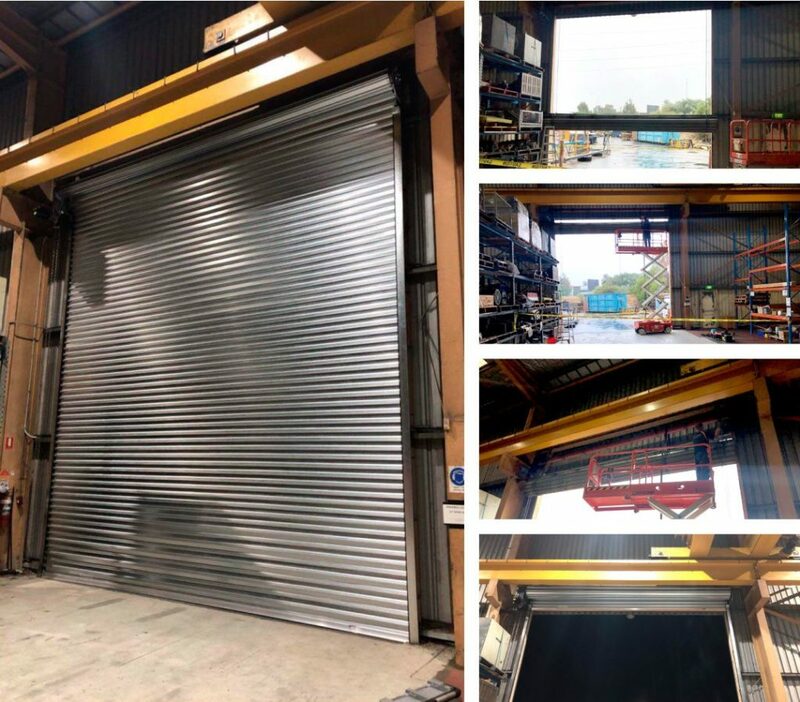 Commercial roller shutters can be made with additional wind clips placed on each alternate slat to create a stronger ‘lock-in’ feature when being operated. What are the benefits of a commercial roller shutter? Strength: As the individual shutter slats are interlocked they create the chain strength. This, along with the 0.6 – 1mm gauge of steel or aluminium, provides superior strength in comparison to a roller door. Easily replaceable: If bad luck strikes and the slats become damaged, they can be easily replaced, so you don’t have to change the whole door. Colour options: As the steel or aluminium roller shutters can be powder-coated, the colour options are endless. You can even choose a Dulux colour to match your building. Steel roller shutters – are usually made of 0.6, 0.8 or 1 mm, in 100 mm slats and can be powder coated in many different colour options. They can also be slotted or perforated to create ventilation if required. Aluminium roller shutters – similarly, can be powder-coated in a full range of Dulux Duralloy colour options. Clearview roller shutters – provide security with a view. They are joined by a small aluminium strip that provides the interlocking function and can be in with clear or tinted Perspex slats. Corrugated roller shutters – are made from corrugated steel at 0.6 mm thickness and have the look of the roller door, are generally slightly cheaper due to the thinner grade of steel, while still providing the benefits of the interlocking slats. There are many options of suitable motors for your commercial roller shutter. Grifco is a well-known brand that has several industrial-grade roller shutter motors on the market. They also have optional controls such as key switches, push buttons, wireless remotes and hard-wired operating pads that can be synced with your alarm or access control settings. Merlin also offers a wide range of solutions for commercial roller shutters, and, when installed by an authorised Merlin dealer, come with extended warranties of up to seven years. 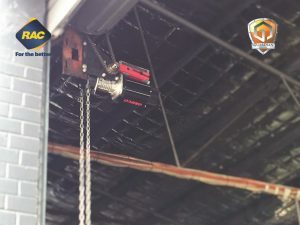 A manual commercial roller shutter is usually operated via planetary gearing and a haul chain; this allows the operator to open and close the roller shutter with ease and is hooked away out of sight when not in use. When you have a manual commercial roller shutter, you can also include additional locking features such as ground locks, side shoot bolts and centre locks. Guardian Doors does not recommend the use of these locks in conjunction with a motor due to the possibility of major damage to the shutter and motor should anyone attempt to use the door while the locks are in place. The addition of a commercial roller shutter to your business premises will be a welcomed feature for anyone who uses it, so it’s worth ensuring that you select the right product for your requirements. Guardian Doors have been involved in the commercial roller shutter and door industry for over three decades. Our knowledge, experience and customer care ensure that we’ll present you with the best options for your project. Call our office today: (08) 9408 1602 or visit our showroom in Wangara!